Current members of the Greater Claremont Chamber of Commerce and their Guests are welcome to attend as a benefit of Chamber Membership. If you are currently not a member of the Greater Claremont Chamber of Commerce OR a personal guest of a member also attending the event there is a $10 charge to attend. If you choose to join the GCCC within 30 days of attending this event your $10 event ticket will be credited towards your membership dues for this year. 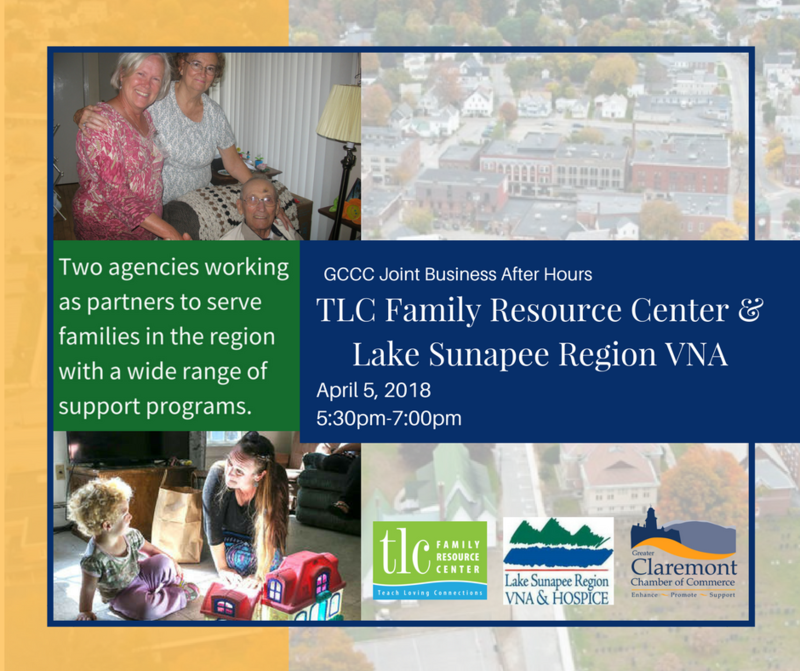 Join us for our April Business After Hours event co-hosted by Lake Sunapee Region VNA & Hospice and TLC Family Resource Center. Light refreshments will be provided.